Gourmet pecan turtles. 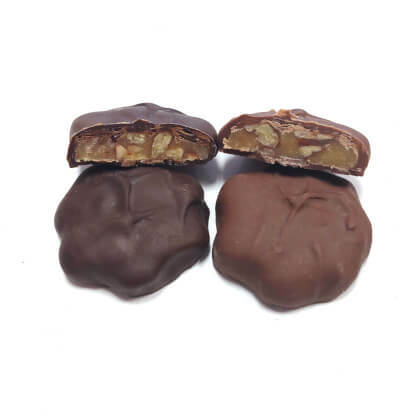 Crunchy pecans and sweet gooey caramel covered in milk or dark chocolate. Pearls 0.5 lb box.